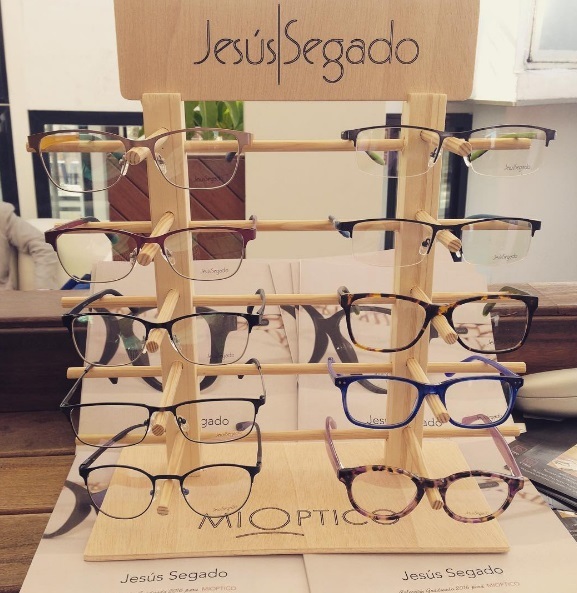 Our hostel in downtown Malaga was pleased to host this week’s presentation of the first eyewear collection from the local designer Jesús Segado. It was quite an occasion, and the place chosen for the event could not be other than our rooftop terrace, located on top of our renowned Restaurant Batik, the heart of our youth hostel in Malaga. In the event, the designer presented to the public its new line of glasses, a unisex range consisting of 15 models in different materials and developed in collaboration with the chain stores MIOPTICO. All attendees all had the chance to try on his favourite glasses. Like it was possible to resist! The ceremony was also attended by the CEO of MIOPTICO, Florent Carrière, who was very proud of his links with Malaga and to collaborate in this way with a local designer. Just as we were to host a presentation of such importance for our city! Attendees could enjoy the spectacular views to the Alcazaba from the terrace of our hostel, while being treated to a cocktail served by our restaurant Batik, and toasted to the success of the collection. At Alcazaba Premium Hostel we wish them the best of luck and hope to accompany them in future events! Good luck!